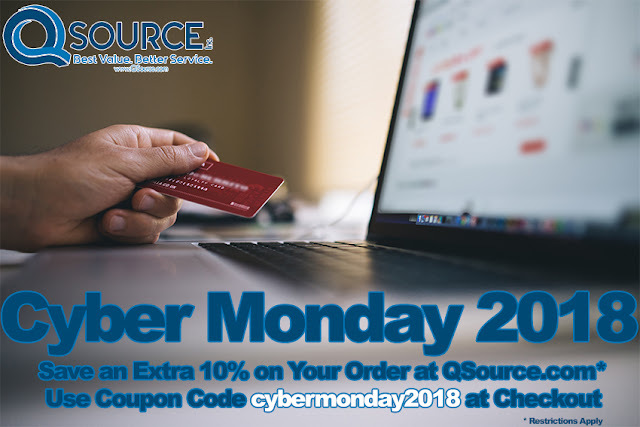 We're excited to announce that Q Source is again offering Cyber Monday promo savings. Today, (Monday, November 26, 2018) only, you'll save an extra 10% off your online order. To get these extra, one-day savings, just enter the Coupon Code, cybermonday2018 when you go to your shopping cart to checkout. Please Note: Current Promo items are not eligible for this extra discount. Use your Cyber Monday savings site-wide on popular product categories like Chairs & Stools, ESD & Static Control, Floor & Table Matting, Labeling & Identification, Soldering/Desoldering & Rework, Workbenches & Industrial Furniture, and more. Please share our Cyber Monday offer with your contacts on social media. Thank you, we appreciate your support.